Our students inspire us with their disciplined work ethic and passion for advertising and public relations. They never cease to go above and beyond. 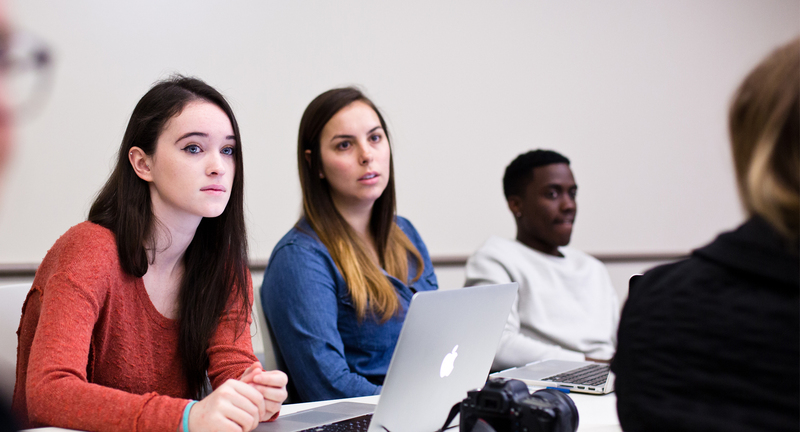 They are drawn to the opportunity of exploring the seemingly endless avenues of advertising and public relations taught at the Stan Richards School of Advertising & Public Relations. Students are guided by faculty, advisers, and our amazing alumni network to find their niche allowing them to become a budding expert in the industry area of their choice. A number of outstanding students are highlighted on our TAPR website every semester. Our students are actively involved in campus organizations in order to gain new experiences, build their personal and professional networks and complement their career paths. Nearing one thousand registered student organizations on campus, advertising and public relations students often choose to be involved in a number of organizations including: the Public Relations Society of America (PRSSA), Texas Tower PR, the Association of Women in Communications (AWC) UT student chapter, the Moody College Communication Council, Texas Advertising Group (TAG), Minutemen Creatives (MMC), the University chapter of the American Advertising Federation, the Advertising Graduate Council (AGC), ADS/AdDocs and Campus Events + Entertainment. With close to 1500 undergraduates, 100 M.A. and 30 Ph.D. students enrolled annually, the Stan Richards School of Advertising & Public Relations has one of the largest undergraduate and graduate student populations of any university. Among other things, the large size of the school allows for a multitude of valuable networking opportunities, whether that means helping peers find their next internship/job or simply connecting over shared industry interests.